Tom Ivie was born on November 24, 1938, in Lexington, Kentucky. 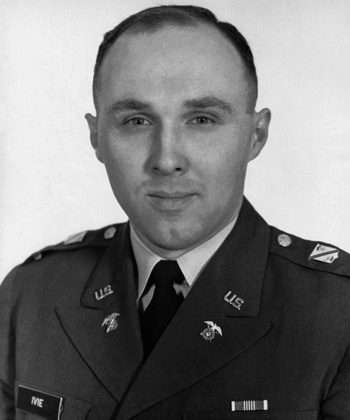 He was commissioned a 2d Lt in the U.S. Army Quartermaster Corps through the Army ROTC program at Eastern Kentucky State College in Richmond, Kentucky, on June 1, 1960, and went on active duty beginning 27 September 1960. Lt Ivie then attended the Basic Quatermaster Officer Course at Fort Lee, Virginia, from September to November 1960. His first assignment was as a Supply Officer and later as a Post Exchange Officer at Fort Holabird, Maryland, from November 1960 until he left active duty and entered the Army Reserve in September 1962. Lt Ivie was recalled to active duty on January 12, 1963, and attended Commissary Officer's School at Fort Lee from January to March 1963, when he was assigned to the U.S. Army General Depot in Verdun, France. He served as a Commissary Officer and then was appointed Chief of Support Services (Post Quartermaster) from March 1963 to February 1966, followed by service as Commanding Officer of Company H, Quartermaster School Brigade at Fort Lee from February to September 1966. Capt Ivie's final assignment was as Commanding Officer of Company R, Quartermaster School Brigade from September 1966 until he left active duty on May 31, 1967. His final reserve assignment was as Commannding Officer of Headquarters Company, 478th Engineer Battalion at Fort Thomas, Kentucky, in 1969. 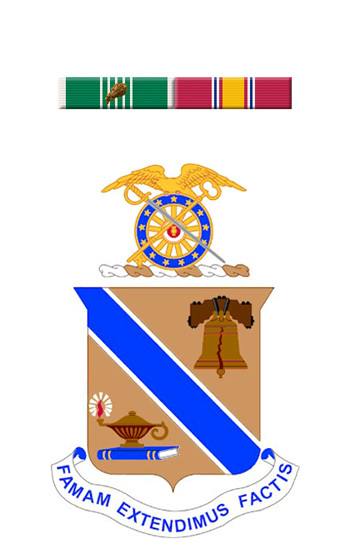 For Meritorious Service at Fort Lee, Virginia, From April 1966 to March 1967: During the period cited, CAPTAIN IVIE distinguished himself by meritorious performance of duties while serving as Commanding Officer of Company H, 1st Battalion, United States Army Quartermaster School Brigade, Fort Lee, Virginia. He constantly demonstrated outstanding organizational and leadership ability and exceptional initiative in discharging the many complex duties inherent in this assignment. As Commanding Officer of Company H, CAPTAIN IVIE was directly instrumental in improving the messing and day room facilities of the unit. The rating of best company in the battalion during the Annual General Inspection was a direct result of his exceptional administrative ability. When reassigned to Company R, CAPTAIN IVIE again demonstrated his organizational abilities by his smooth and quick activation of this new unit. Although the unit was unusually large, he never failed in his responsibility to assist these young and inexperienced soldiers with their personal problems. The excellent recreational program and facilities provided by CAPTAIN IVIE contributed to the high company morale. Through his demonstrated performance of duty and personal conviction that no task was too difficult, CAPTAIN IVIE earned the highest respect and admiration of his superiors and subordinates. These qualities, coupled with his overall professional competence and great devotion to duty, reflect great credit upon himself and the United States Army.